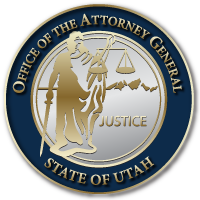 SALT LAKE CITY March 2, 2017 – Attorney General Sean Reyes announced today that Utah has joined a federal antitrust lawsuit alleging that six generic drug-makers entered into illegal conspiracies in order to unreasonably restrain trade, artificially inflate and manipulate prices and reduce competition in the United States for two generic drugs. An amended complaint filed in with the federal court increases from 20 to 40 the number of plaintiff states in the lawsuit, which was initially filed in December 2016. The amended complaint also adds claims of alleged violations of state antitrust laws – in addition to the alleged violations of federal antitrust laws – in each of the 40 states, as well as state consumer protection laws in most of the states, against the defendant generic companies Heritage Pharmaceuticals, Inc., Aurobindo Pharma USA, Inc., Citron Pharma, LLC, Mayne Pharma (USA), Inc., Mylan Pharmaceuticals, Inc. and Teva Pharmaceuticals USA, Inc.
Connecticut is leading the multistate group of plaintiff states, which now also includes Alabama, Arizona, California, Colorado, Delaware, Florida, Hawaii, Idaho, Illinois, Indiana, Iowa, Kansas, Kentucky, Louisiana, Maine, Maryland, Massachusetts, Michigan, Minnesota, Mississippi, Montana, Nebraska, Nevada, New Hampshire, New Jersey, New York, North Carolina, North Dakota, Ohio, Oklahoma, Oregon, Pennsylvania, South Carolina, Tennessee, Utah, Vermont, Virginia, Washington and Wisconsin. “Along with 39 other states, we have laid out a strong and compelling case. In our amended complaint, we allege that these drug companies engaged in anti-competitive behavior, driving drug prices artificially high for certain generic drugs to the serious detriment of consumers,” said Attorney General Sean Reyes. “With the filing of this amended complaint, my office hopes to send a message of zero tolerance for trade practices we believe harm Americans and particularly those that hurt residents of Utah. In July 2014, the state of Connecticut initiated an investigation of the reasons behind suspicious price increases of certain generic pharmaceuticals. The investigation, which is still ongoing as to a number of additional generic drugs, generic drug companies, and key executives, uncovered evidence of a well-coordinated and long-running conspiracy to fix prices and allocate markets for doxycycline hyclate delayed release, an antibiotic, and glyburide, an oral diabetes medication. The complaint further alleges that the defendants routinely coordinated their schemes through direct interaction with their competitors at industry trade shows, customer conferences, and other events, as well as through direct email, phone and text message communications. The alleged anticompetitive conduct – including efforts to fix and maintain prices, allocate markets and otherwise thwart competition – caused significant, harmful and continuing effects in the country’s healthcare system, the states allege. The lawsuit was filed under seal in the U.S. District Court for the District of Connecticut. Portions of the complaint are redacted in order to avoid compromising the ongoing investigation. See below to view a copy of the redacted amended complaint. This entry was posted in Recent Posts and tagged anti-trust, Brian Blake, David Sonnenreich, Eddie Vasquez, Ronald Ockey on March 7, 2017 .